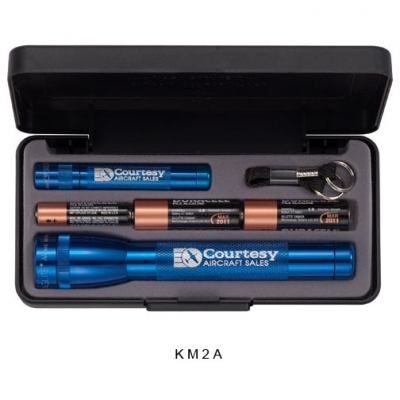 MagLite® combination set with your Corporate Logo! The Mag-Lite gift set for Mag-Lovers. We laser engrave your logo on both flashlights. Package includes both flashlights, 1 “AAA” battery, 2 “AA” batteries and a key ring/lanyard attachment. Packaged in a sleek presentation gift box. Price includes your imprint laser engraved, the same on both flashlights. Color: Sets available in Black, Royal Blue, Red, Gray. Method of Imprinting: Laser engraved. Appears white/silver.